The Von Witzleben estate consists of both forest and agricultural land. For many centuries, agriculture and forestry have served as the mainstay of the estate's activities and provides an ample supply of food. Today, the estate's agricultural accomplishments have become a major opportunity for growth for the family in a modern international market. The creation of renewable resources and the production of energy will continue to increase. 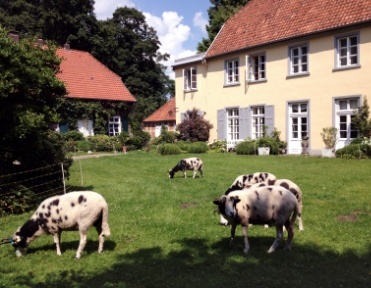 German agriculture is a modern industry, maintains many of its hallowed historical traditions. The estate emphasizes the importance of intelligent, sustainable, and practical use of the land while being able to maintain a good balance with the environment. The area is maintained in cooperation with the Foundation for Nature Conservation in an effort to develop a modern and productive agricultural enterprise on the estate while also being conscious of the environment to sustain, protect, and promote an area of remarkable beauty.